At Cafco Services, we understand you have to provide your customers, employees and tenants with a comfortable indoor environment. We also recognize the fact that every business is unique, with varying HVAC, refrigeration and hot side requirements. It is our mission to offer services, systems and solutions that are tailored to your specific needs and designed to provide substantial value and utility cost savings. As one of Cincinnati’s most trusted HVAC contractors, Cafco Services is proud to be the local source for premier commercial and industrial heating, cooling, refrigeration, hot side, and filter solutions. Since 1945, we have maintained the reputation of being a one-stop provider of a wide range of services, from installation to maintenance and everything in between. 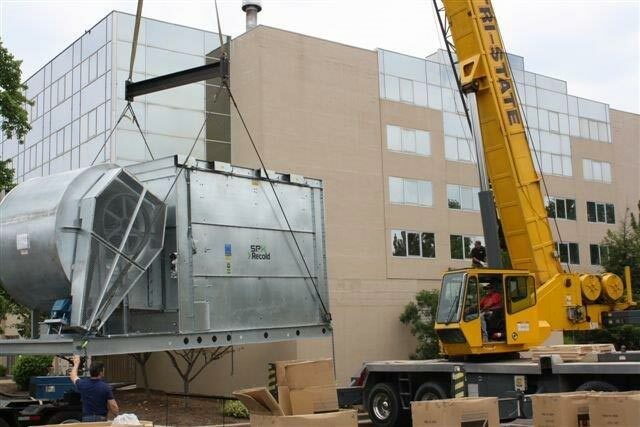 Cafco Services is composed of highly qualified and experienced technicians that service a wide range of commercial and industrial HVAC/R and hot side equipment and systems. We can help you with custom installations, expert repair and comprehensive maintenance solutions. We also have a full inventory of filter products and the expertise to provide filter services on your equipment. For Guaranteed Commercial Services, Turn to Cafco! Whether you are a restaurant owner or a building manager, Cafco Services has your commercial and industrial HVAC needs covered. Get in touch with us today to learn more about our custom installation, repair and maintenance services. Call us at (513) 242-3400 or fill out our online contact form and our representative will be in touch with you shortly.